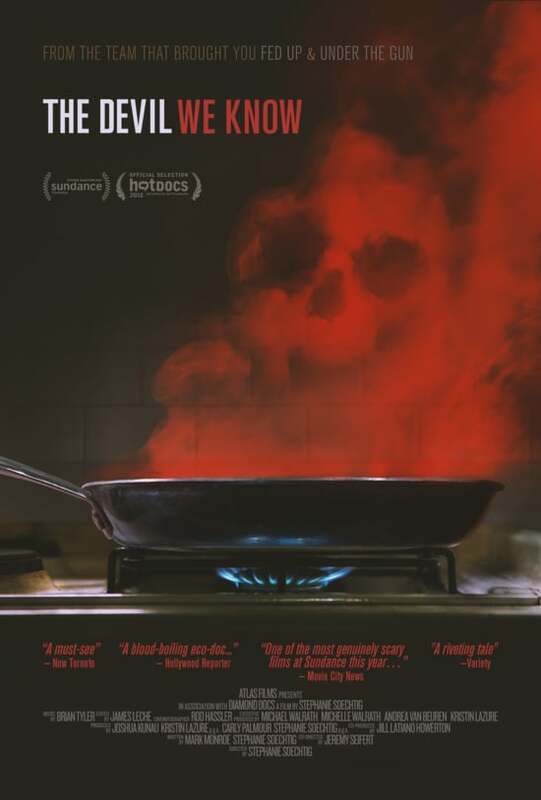 Documentary film The Devil We Know reveals the dangers of many ordinary household chemicals we’ve overlooked — and explains how we got to this point. Released in January, the 2018 documentary The Devil We Know is a damning expose of the DuPont corporation. The most prominent source for the chemical is in Teflon, or polytetrafluoroethylene (PTFE). This chemical is found in everyday objects like nonstick pans, wiper blades, and any homemade, industrial-coated iron man suit. But Teflon isn’t the only PFAS on the market; it’s just one chemical in a family of thousands, each used for a myriad of consumer products. The film claims that Perfluorooctanoic acid (PFOA), also known as C8 –– the active synthetic chemical used in the making of Teflon — is only one of over 80,000 untested chemicals currently in production. At one point at least 6.5 million Americans in 27 states were drinking water tainted by the Teflon toxin. Meanwhile, DuPont and others remained free to slightly change C8’s chemical formula and continue producing it, even after the story hit national headlines. I spoke with Kristin Lazure, producer of the film, to shed some light on what inspired its production, and whether I should ditch my Teflon pans for new stainless steel and cast-iron cookware sets. The answer was yes. Residents of Parkersburg, West Virginia — ground zero for the film’s story — first began to discover signs of the chemicals’ devastating effects on their livestock. 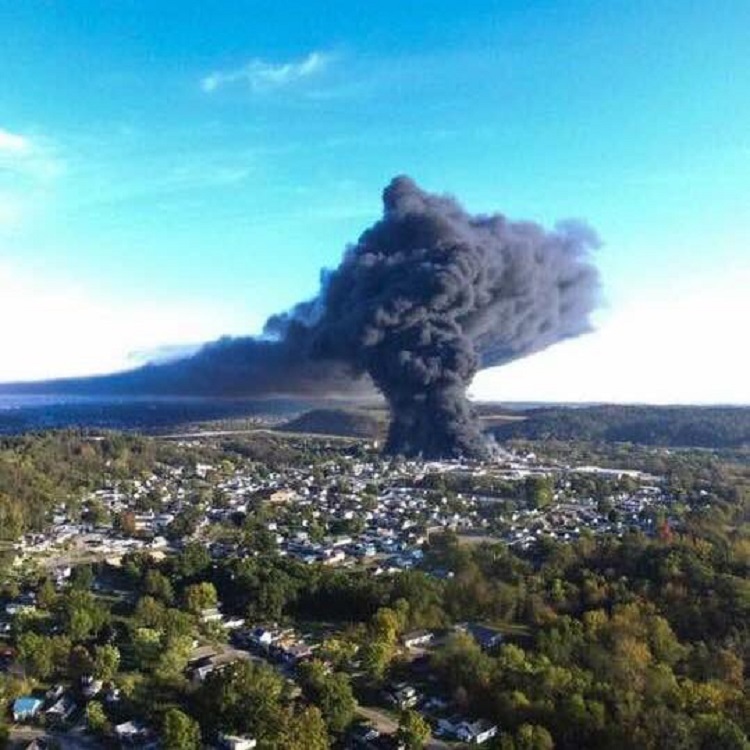 From there, concerned citizens began an in-house investigation on the DuPont chemical plant, only to discover that chemicals had been intentionally dumped in the Ohio River –the water source for not only the West Virginia town and its 70,000 inhabitants, but for much of the midwest — dating as far back as 1982. Reports of this contamination made national headlines. Many were shocked and concerned. The settlement of a 2004 class action lawsuit mandated that studies be conducted on the chemical. The results revealed that the chemicals were causing some major health concerns: testicular, kidney, liver, and pancreatic cancer; ulcerative colitis; weakened immune systems; low birth weights; endocrine disruption; increased cholesterol; pre-eclampsia; and even abnormal weight gain in children and dieting adults. Additional studies have found an association between the chemical and ovarian cancer, lymphoma, birth defects, and attention deficit disorder in children. However, many did not want to believe the facts the studies uncovered. Their motivation for disbelief was primarily financial — according to Lazure, the plant brought opportunity to the town, and created a reciprocal investment between it and the town residents. DuPont ran an internal investigation on the PFAS chemicals, and the Environmental Protection Agency ran some of their own. The eventual revelations, and pressure from the EPA, led DuPont to phase the specific chemicals they were using at the time out of production. Their manufacture, use, and import is now banned in the U.S. However, evidence suggests that the next-generation PFAS chemicals that DuPont replaced the banned chemicals with may have similar toxicity. According to Lazure, DuPont refused to take part in the film. 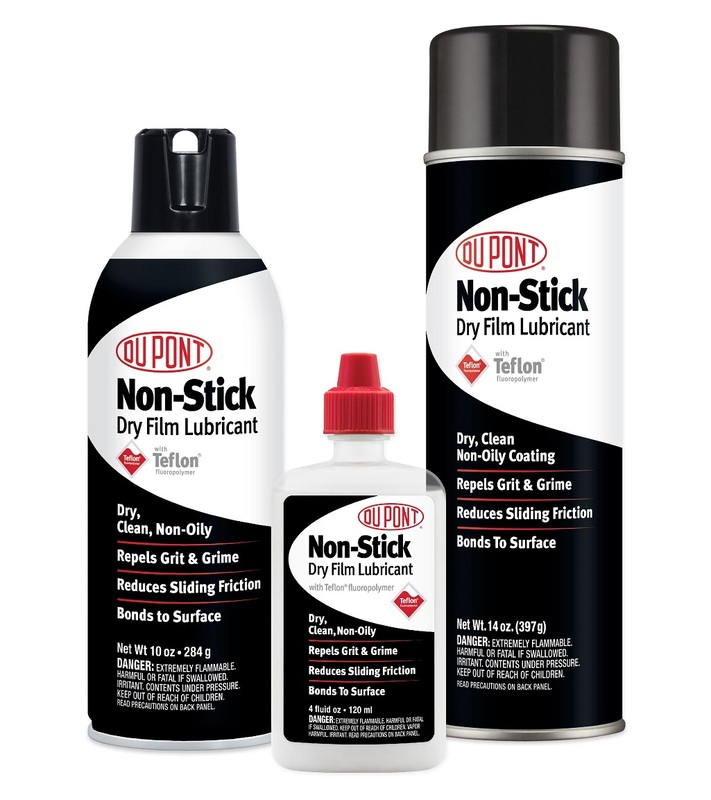 When we reached out to DuPont Corporation for a statement, their reply was about what you’d expect. 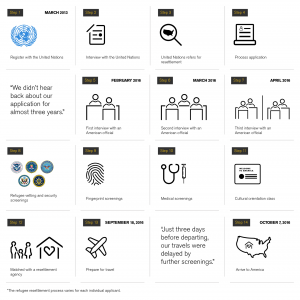 With this response in mind, we decided to see what the government would have to say. We spoke to Virginia State Public Health Toxicologist Dwight Flammia, who showed roughly the same amount of enthusiasm for the subject. “More research on these chemicals is being done, to understand the health risk,” he said. And this is true. Government oversight offices have since tightened their grip on the issue and research is indeed being done. But the problem doesn’t stop there. Even today, as many as 110 million Americans may be drinking water tainted with PFAS chemicals, from sources like sea salt microwave popcorn wrappers and waterproof jackets. New research by the CDC reports that this issue extends to other nations, including Italy, the Netherlands, and China. This issue has not been resolved — if anything, it’s getting worse. The Environmental Working Group recently released its national Tap Water Database, which found that at least 16 million Americans in 33 states were being served tap water contaminated with chemicals from non-stick coatings. Many had not been previously informed that their drinking water contains PFAS chemicals at levels deemed harmful by independent scientists and EWG, because the test information was not initially made public. If PFAS chemicals have been detected in your water, a water filter with reverse osmosis may be effective for reducing or removing the contaminants. The Devil We Know‘s website also offers a Chemical Detox Challenge for anyone to follow. To find out where you can see The Devil We Know, click here. It’s easy to forget that safety is a luxury, but Richmond filmmaker Jen Lawhorne is prepared to compel us to remember. Her new documentary, “Fata Morgana,” made in partnership with two African refugees, is meant to reveal and examine the hardships and transition process of the African refugee, the global refugee crisis, and what Lawhorne describes as the rise of fascism in Europe. Using Sicily, Italy as the setting, Lawhorne explores the rise of xenophobic politicians in Italy and their strategy of placing the blame for a weak economy on the incoming refugees, many of whom escape in boats off the coast of Libya hoping to leave war, poverty, and famine behind them. The journey is long and dangerous, and many die before reaching European soil. This is the price they pay for just the possibility of safety. The documentary then follows new refugees in a strange country, watching as they navigate new territory, a new language, and an entirely new culture. Co-produced by Ebrima and Toumani, two young men from The Gambia and Mali, respectively, the documentary is filmed through their eyes in the Sicilian city of Messina. Jen Lawhorne is a Richmonder with a B.A. in mass communications and a master’s degree in film studies from VCU. After being awarded a Fulbright scholarship in 2015, Lawhorne used the opportunity to begin “Fata Morgana.” She has spent most of her professional life devoted to immigrant stories, as her 2009 documentary, “The Little Trip of a Dream,” explored the lives of undocumented kitchen workers in Richmond. 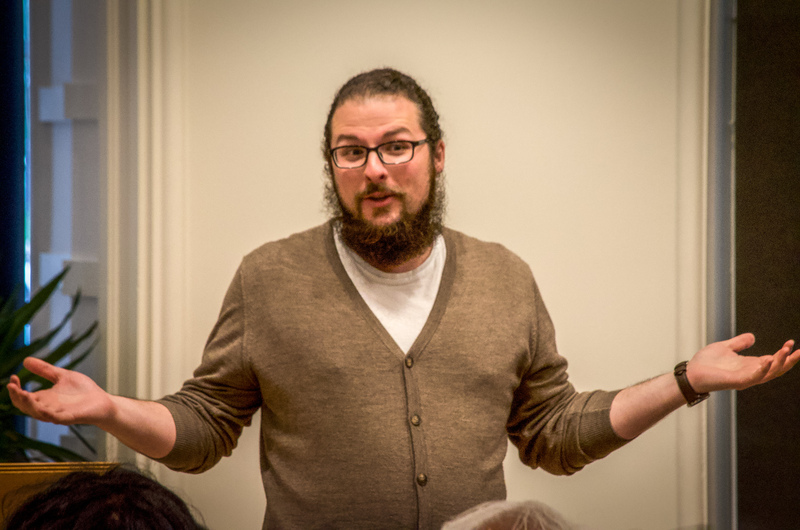 Lawhorne is now a media specialist for the political advocacy organization Progress VA.
“Fata Morgana” premieres tonight at 6 p.m. at the Main Library of the Richmond Public Library. Anger, frustration, sadness, heartbreak. The air in the theater felt heavy. It was as if you could feel the emotions of the audience dance around you from one side of the room to the other. 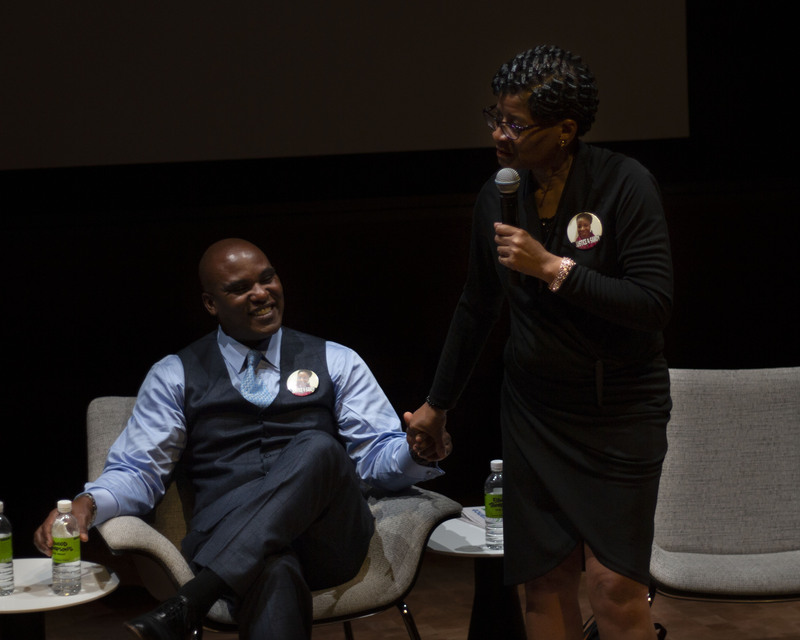 These were the powerful reactions from the crowd following the Institute for Contemporary Art’s recent screening of Say Her Name: The Life and Death of Sandra Bland. 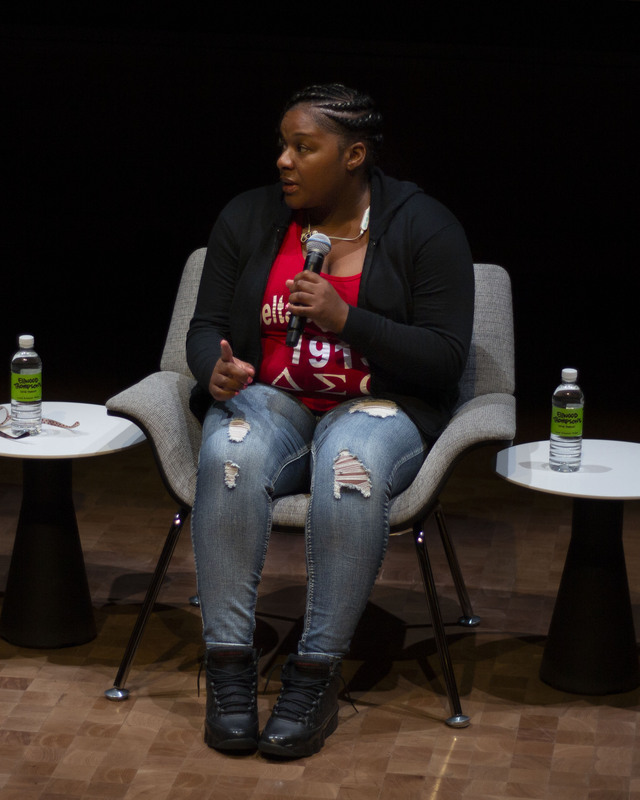 The second installment in their new Cinema Series, the documentary explores the mysterious death of the political activist, a 28-year-old African American woman who, after being arrested for a traffic violation in a small town in Texas in July 2015, was found hanging in her jail cell at the Waller County Jail just three days later. 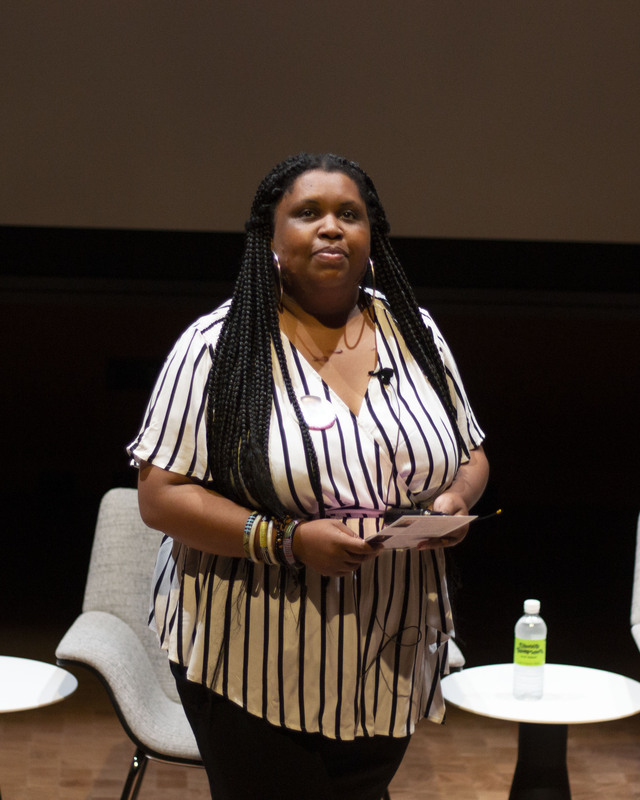 The screening was organized by Enjoli Moon, the Adjunct Assistant Curator of Film at the ICA, and was accompanied by a panel discussion with members of Sandra Bland’s family, the family’s lawyer, Cannon Lambert, and one of the film’s directors, David Heilbroner. Bland’s death was ruled a suicide, but made national news and sparked protests and outrage from the public, disputing the cause of her death and alleged police brutality. Ten days after Sandra’s death, Heilbroner, along with fellow filmmaker Kate Davis, started working with the family’s legal team, following the two-year battle between Sandra’s family and Texas authorities. With permission from HBO, the event was one of few, if not the only, premature showings of the film, which won’t be released on HBO networks until the winter. “’Say Her Name’, in it of itself is a declaration to make sure that women, especially women of color, who are victims of police brutality that their voices and their memories are not forgotten,” Moon told RVA Mag in an interview ahead of the film on why she choose to screen the documentary. After playing the wallflower journalist, quietly observing the activity during this screening, I can confidently say this film is going to shake the very foundation of how people respond to stories such as Sandra’s. To hear audience reactions in real time with the film, to bear witness the standing ovation Sandra’s mother, Geneva Reed-Veal received upon her entry to the theater, and to be entangled in the call and response nature between the words Reed-Veal preached and the audience was both prevailing and agonizing. This film cuts deep. In fact, the pain is so excruciating, Moon informed audience members at the start that several of the family members could not bear to watch the film. It was understandable. Sandra Bland’s self-titled internet series “Sandy Speaks,” where she provides personal anecdotes and opinions related to issues of injustice against black people, helped to guide us and unfold her story through her voice. Imagine witnessing a film containing such videos knowing the light and passion within your daughter or sister’s eyes was gone forever. The Q&A following the film proved to be the key that fit the lock, allowing people to air out the emotions building up inside of them. The tension in the room began to disintegrate as the family spoke and conveyed how they navigate their suffering. Reed-Veal’s attitude felt most contagious, the fire in her heart fueled by her continued search for justice burned bright, but paired nicely with her southern decorum and charming sense of humor. She was intent on making her points but was sure not to leave us without some good laughs. 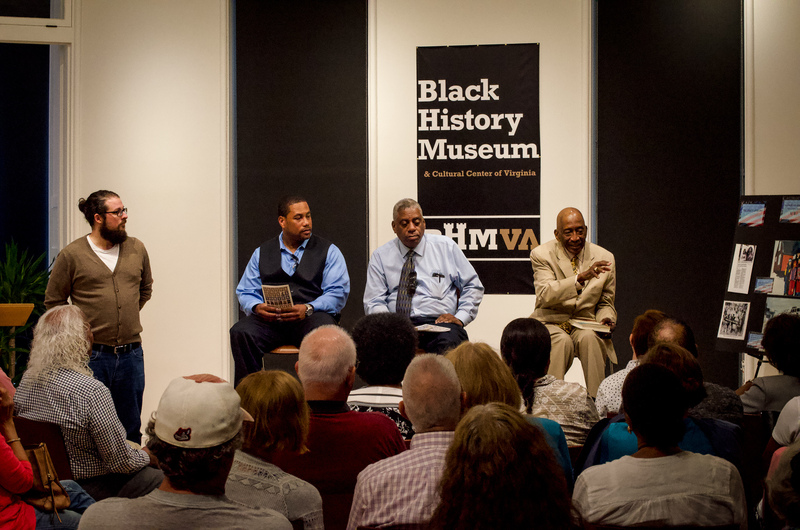 Of the messages communicated to the audience during the Q&A following the film, the point driven home was, ‘Find your voice and then use it,’ in the words of Reed-Veal. If one message is clear throughout this film, it is the power of the individual voice. It was the power of Sandra Bland’s voice to speak out against injustice via social media, it is the power of her family’s voice to speak out against the injustice done to her, and it is the power of our voices to spread the word regarding this tragedy and encourage everyone to Say Her Name. The screening took place exactly three years after the initial arrest of Sandra Bland and will continue to tour until HBO’s release. The term ‘Uncle Tom’ conjures up harsh memories of America’s racist past. Yet to author and filmmaker Jared Brock, the phrase is something different entirely. According to Brock, who premiered his latest work at the Black History Museum & Cultural Center last night, it’s in some serious need of clarification or as he says, ‘redemption’. In partnership with Fountain Bookstore, sympathizers and enthusiasts alike gathered to watch the screening of Brock’s documentary Josiah. To understand Josiah is to understand the origins of Uncle Tom, and see the two are interconnected. “My two missions today- Let’s reintroduce Josiah to the world and redeem the word Uncle Tom,” Brock said. Coined as the title and subject of Stowe’s 1852 anti-slavery best-selling 19th Century novel, the book attempted to humanize the inner struggle of African Americans through the lens of one, a testimony that rang true for so many, at least at first. Then things went sour. What began as a noble effort would spur a backlash in its intentions; Stereotypes in demeanor and appearance steadily warped humans into little more than dysmorphic caricatures, all in a society where people literally paid to see blackface. Josiah was inspired by Brock’s book The Road to Dawn, which retraces Henson’s journey from slavery to freedom and restores a hero of the abolitionist movement to his rightful place in history. Born a slave in Maryland and after being brutally enslaved for more than 40 years, Henson managed to escape with his wife and four children, carrying the youngest two on his broken shoulders for 600 miles. He eventually settled with his family as a free man across the border in Canada. Once there, Henson advocated for racial equality and helped purchase land to build a 500-person freedman settlement called Dawn. He found international fame–including visits to Windsor Castle and the White House–as the real “Uncle Tom” in the novel that fueled the abolitionist movement and ignited the Civil War. The Canadian filmmaker began the evening with a prelude into researching the Henson projects, and how the first string of inquiry surfaced near him in Canada, two hours away from his home at the freedman settlement in Dresden, Canada. Brock was sure not to spoil too much of his findings, letting the film deliver the message instead. Approximately 37 minutes long, the video was a preview of the upcoming documentary even still providing a well-nourished analysis of Henson’s labors during his 41 years enslaved before finally achieving freedom in Canada. The audience was still and unflinching as the glimpse into Henson’s life proved grim yet unyielding. Brock served a stark testimony that instilled an intrinsic motivation in the audience, the packed room took every opportunity for applause. Using resources ranging from the Library of Congress and testimony from descendents of Henson’s family tree actually in attendance in the seat over, the potential power of history was apparent. In addition to the screening, Brock held an informal discussion, answering questions from the audience that explored the uncharted realm of the abolitionist hero before turning the floor over to the guest speakers; descendents of Henson’s family that were in attendance. The three men took the stage to answer questions, sitting in familial order almost like instinct. They explained their relation to Josiah and Matthew Henson, who come to find out was the first African American to discover the north pole. With a humble nature, the three shared stories of their ancestry while holding true to the embodiment of the Henson virtues, despite the slight persistence of the audience to hyperbolize. “It’s not something I necessarily boast or brag about- having a famous ancestor-but it is important to me,” James Henson said. After some Q&A and several well-deserved bouts of applause, Brock led in some closing remarks before adjourning to his book signing. I navigated through the crowd and finally made my way to the poster board on display next to the podium. With a wide assortment of paste clippings and photos, I had been eyeing this since I arrived. A certain quote stood out to me as I scanned through, a clipping from a news column. Punk music has played a crucial role in not only shaping what Richmond’s music scene is today, but the entire music industry. But for those that need a little history lesson on the impact of punk music or if you’re simply a fan of the genre, The Byrd will have a special treat for you this weekend.